If you are hoping for an iOS 11 jailbreak, here’s what iPhone, iPad and iPod users need to know at this point. There’s Currently no iOS 11 Jailbreak – it Would be Wise to stick to iOS 10.3.3. Or Not, Depending on the Situation. The world of jailbreaking and iOS hacking is an interesting one. Apple releases a new software update, patches security vulnerabilities and hackers run after the new software to jailbreak it. 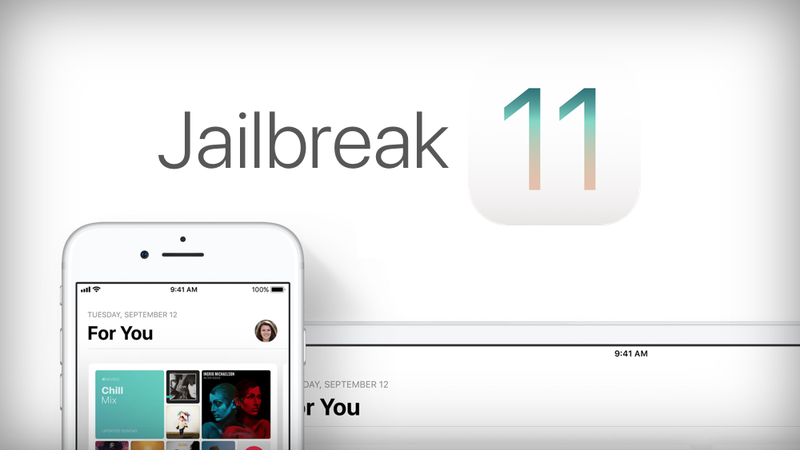 Unfortunately though, there is no iOS 11 jailbreak at all as Apple has done a fine job patching it up real nice, and news regarding its development are rather weak. But here’s what you should do at this point if you are seeking to stick close to an iOS 11 jailbreak or any jailbreak for that matter. First and foremost, it is important to know that Apple is signing iOS 10.3.3 at this point. This means that you have the complete option of downgrading to that firmware if you have updated your iPhone, iPad or iPod to iOS 11. Now, why would you wanna do that? Because iOS 11 patches a boatload of security related issues. This in turn means that Apple has made things a little tough for hackers. So being on iOS 10.3.3 is your best bet at this point. The second option you have is to stick with iOS 11 and this particular release only. Avoid iOS 11.0.1 completely whenever it arrives as it will further improve on the software’s foundations, making it a tougher biscuit to crack. Also keep one thing in mind – there’s no jailbreak available for iOS 10.3.3 either. At the same time there’s a chance that there might never ever be one, given the current state of affairs. But sticking to older firmware versions has proved fruitful for a lot of users in the past. Still, there are no guarantees if things will work out positively for you going forward. Personally, I believe the days of jailbreaking an iOS device are long gone. Apple has already baked enough features into iOS that makes it extremely capable enough to go head to head with its competition – Android. But that’s how I see things, maybe I’m wrong here. I’m certain many users out there are still thrilled by the prospect of having a tweak such as Activator onboard or the ability to customize the home or lock screen using Springtomize. If you’re hoping to install iOS 11 or downgrade back to iOS 10.x, then check out the following links. Also be sure to check out the following.